Newton Aycliffe 1st XI v Maltby 1st XI – weather was warm and sunny. Maltby won the toss and chose to bowl first. Aycliffe first team had their second maximum 25-point victory on the trot when they hammered Maltby 1st XI by 141 runs. Unsurprisingly Darryn Bancroft (sponsored by Utility Warehouse) was man of the match after scoring a sensational 121 runs from just 100 balls faced and his memorable innings included eleven boundaries and eight big sixes. 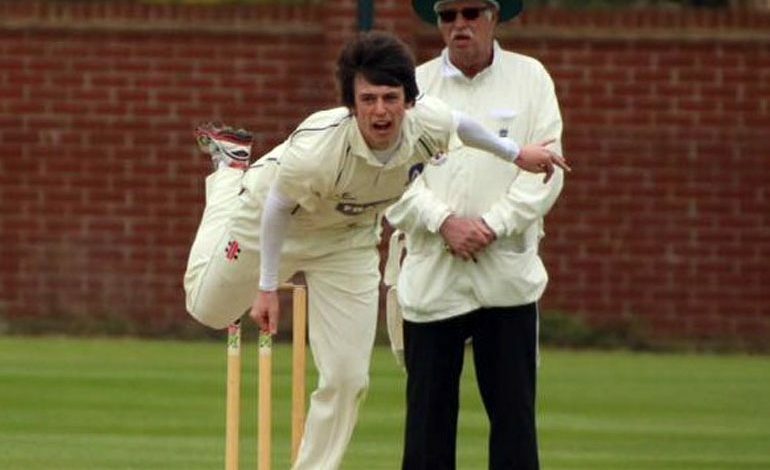 A big mention must also go to leg spin bowler Patrick Howe (pictured above) who took 4 for 27, including the rare feat of taking three wickets in consecutive balls, which was the first hat-trick by a 1st team bowler for ten years. Maltby 2nd XI v Newton Aycliffe 2nd XI – weather was warm and sunny. Aycliffe won the toss and chose to bat first. George Slatcher 4 for 41, Neil Bancroft 3 for 22 and Matty Greaves (1 for 15). Aycliffe’s young second team lost an incredible match by just one wicket away at Maltby 2nd XI. Dylan Tribley was given the man of the match for an excellent unbeaten 37 from just 42 balls, including four boundaries and a six and then taking 4 for 41 with the ball.